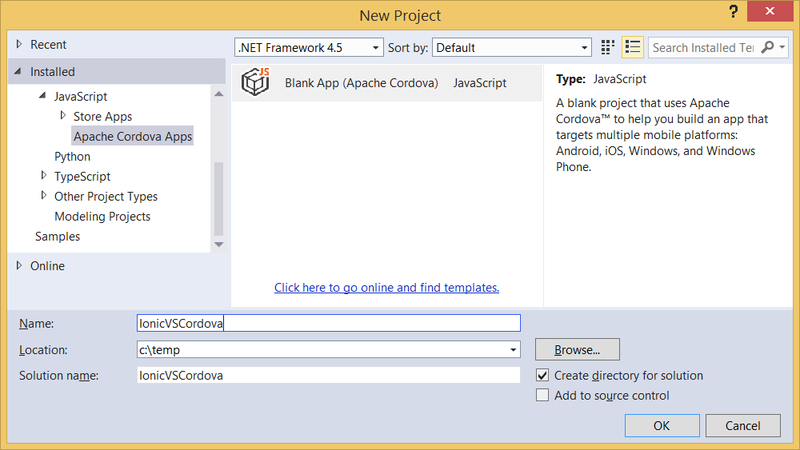 But getting Ionic to work when targeting Windows 8 or Windows Phone apps with CTP3 of Visual Studio Tools for Apache Cordova isn't quite straightforward due to some security context restrictions in Windows 8 apps. First note that these steps are for CTP3 of VSCordova! Future releases will likely fix some of the issues presented here. Install Ionic. Here we will use Nuget, but in the future you will likely be able to use Bower for JS packages. Install JQuery 2. This is required because it fixes some security context restrictions in Win8 apps. 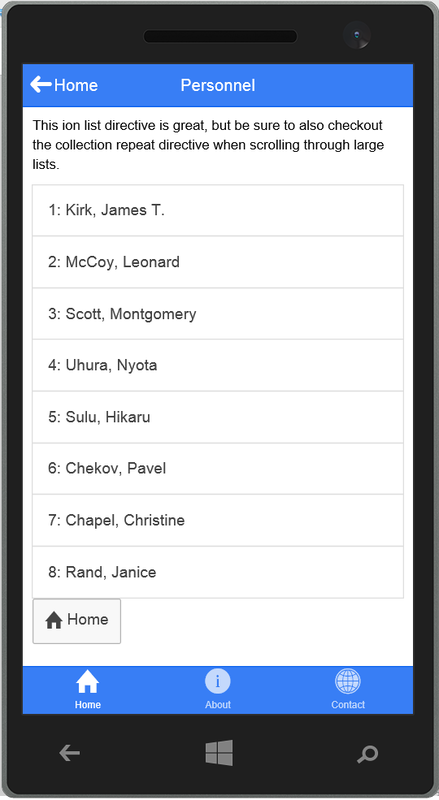 Inside each of the four partials above, create an ionic view and add some content inside (it doesn't matter what, be creative)... and set the view-title to an appropriate string to display in the header. For home.html, let's add a View that links to personnel. Error: [$compile:tplrt] Template for directive 'ionTabNav' must have exactly one root element.